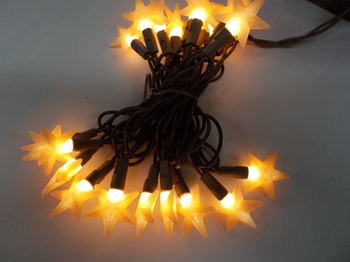 Warm star pop on string lights are approx. 7 feet long. made in Wisconsin by Vickie Jeans creations. These are a great accent for a warm cozy home. replaceable stars will pop on a new light string when this one dies.